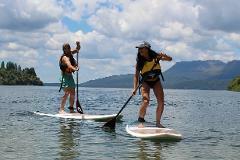 Our SUP tour is perfect for all skill levels and ages. Learn the basics and paddle your way to an adventure you'll never forget. Explore the beautiful coves and shorelines that our regions lakes have to offer with our experienced guides. 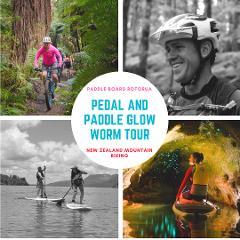 Enjoy the Rotorua Lakes as the sun sets at twilight hour on an amazing stand-up paddle board scenic tour as you are guided to an incredible cavern home to a galaxy formation of glow-worms. This paddle-board experience you will never forget. 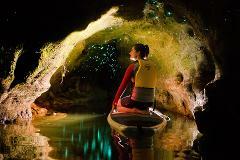 Redwoods Mountain Biking , Rotorua Lakes Paddle Boarding and Glow Worm Cave exploration. An active afternoon and evening out in Rotorua does not get any better.